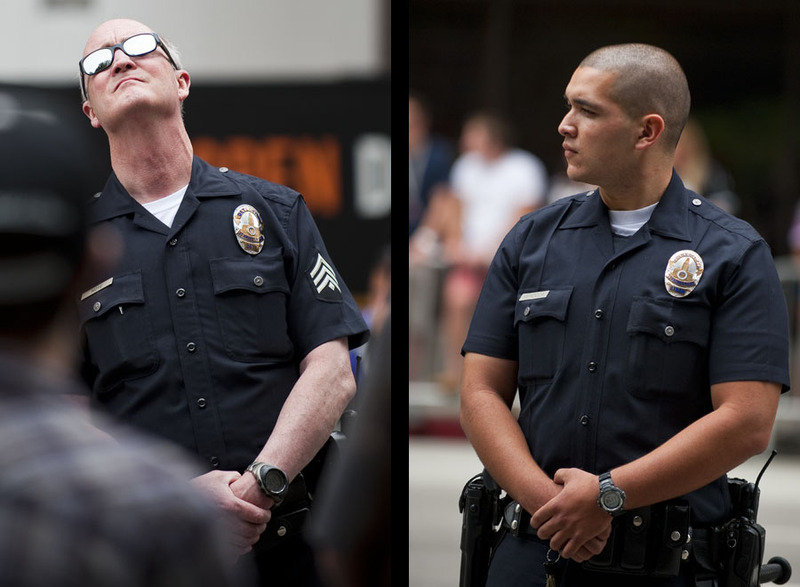 Los Angeles Police Department Officers stand watch at their stations before the start of the Los Angeles Kings Stanley Cup Victory Parade. Los Angeles Police Department Officers and FireFighters stand watch at their stations before the start of the Los Angeles Kings Stanley Cup Victory Parade. Filed under Blog, Blog: Behind the Image, Blog: Events, Blog: Portraits. RSS 2.0 feed.